In the Beginning, four mighty dragons raised of elemental energies were put to work creating the World. They were called Earth, Water, Fire and Air. When the work was done and the World set in motion, the four went to ground to sleep out this particular history and not rise again till World’s End. The first to awaken is Earth. The year is 913, and something has gone terribly wrong. 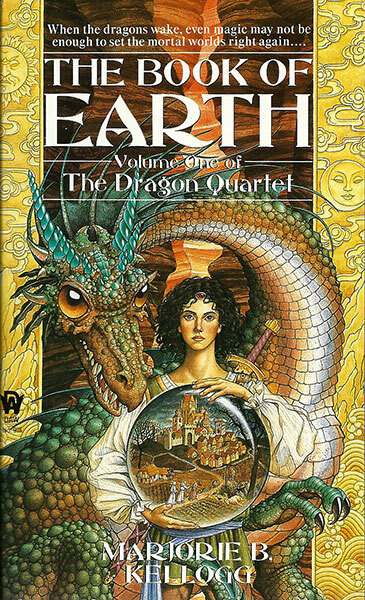 A young girl flees madness and venery in her father’s castle and stumbles across the dragon called Earth. Drawn together by mutual peril and need – plus an uncanny sense of connectedness – they set out through lands wracked by war and religious fanaticism to locate the source of the mystical Voice that only the dragon hears. The quest is desperate, for if Earth is being Called, it can mean one thing only: World’s End approaches.